WASHINGTON, DC, November 19, 2012 (ENS) – Time is running out to avoid devastating climate change, finds a new report commissioned by the World Bank and reviewed by some of the world’s top scientists. The report warns that humanity is headed for a world that is 4°Celsius (7.2°Fahrenheit) warmer at the end of the century than it was in pre-industrial times, a world marked by extreme heat waves, declining global food supplies, loss of ecosystems and biodiversity, and life-threatening sea level rise. Adverse effects of a warming climate are “tilted against many of the world’s poorest regions” and likely to undermine development efforts and global development goals, says the study by the Potsdam Institute for Climate Impact Research and Climate Analytics, on behalf of the World Bank. “Climate change is one of the single biggest challenges facing development, and we need to assume the moral responsibility to take action on behalf of future generations, especially the poorest,” said Kim. As global warming approaches and exceeds 2°C (3.6°F), there is a risk of triggering nonlinear tipping elements, the report shows. The West Antarctic ice sheet could disintegrate, leading to more rapid sea-level rise, or large-scale Amazon dieback would disrupt ecosystems, rivers, agriculture, energy production, and livelihoods. This would further add to 21st-century global warming and impact entire continents. The projected 4°C warming simply must not be allowed to occur – the heat must be turned down. 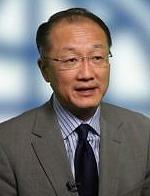 The World Bank warns that only early, cooperative, international actions can make that happen. The World Bank report adds to the many voices warning of climate change risk that are being heard this month ahead of the annual United Nations negotiations towards a global agreement on reducing greenhouse gas emissions that opens November 27 in Doha, Qatar. Today, over 100 big businesses, including BP, Shell, Unilever, KPMG, Swiss Re and BT, as well as energy companies EDF Energy, Statoil, Doosan, Acciona and Iberdrola, are calling for a global carbon price ahead of the United Nations climate change summit in Doha. Their Carbon Price Communiqué, coordinated by The Prince of Wales’s Corporate Leaders Group on Climate Change, was presented to European Commissioner for Climate Action Connie Hedegaard today in Brussels before she heads off to the climate change summit. The signatory businesses applaud the implementation of carbon trading systems, like that recently launched in California, but call for an expansion of such measures and an “unambiguous global carbon price” to drive low-carbon investment and cuts in greenhouse gas emissions. Fifteen science academies of Africa issued a joint statement in Lagos, Nigeria on November 12, calling on the African scientific community to intensify its study of the impact of climate change. 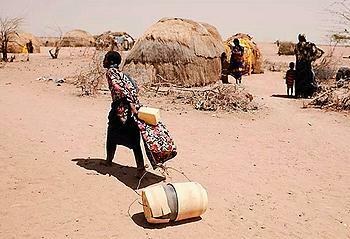 Noting that Africa’s contribution of scientific information to understanding climate change has been “meagre” to date, the statement calls for African researchers to step up their observation, modeling, and analyses of the effects of climate change on a regional scale, and to help plan interventions to mitigate and adapt to the impacts of climate change on the continent. The statement was presented at the eighth annual conference of African Science Academies in cooperation with the African Science Academy Development Initiative. The initiative, supported by the Bill & Melinda Gates Foundation, is a partnership between the U.S. National Academy of Sciences and several African science academies to strengthen their capacity to provide evidence-based advice to inform policymaking and public discourse. With the hottest U.S. summer on record, fires in Russia and flooding in the UK, Japan and Thailand, a record minimum of Arctic sea ice reached in September, and other extreme weather events, more than 80 percent of the largest listed companies from around the world reporting to the Carbon Disclosure Project now identify physical risk from climate change. Of those companies, 37 percent perceive these risks as an immediate danger, up from 10 percent in 2010, demonstrating the real and present threat of climate change to businesses. A new report, co-written by the Carbon Disclosure Project and professional services firm PwC on behalf of 655 institutional investors representing US$78 trillion, shows this risk perception is likely to have contributed to a 10 percent rise in companies integrating climate change into their business strategies, a figure which now stands at 78 percent. The report is being released ahead of the next comprehensive studies by the UN’s Intergovernmental Panel on Climate Change in 2013/14, and follows the Bank’s own Strategic Framework for Development and Climate Change in 2008 and the World Development Report on climate change in 2010. “Turn Down the Heat” combines a synthesis of recent scientific literature with new analysis of likely impacts and risks, focusing on developing countries. It chronicles already observed climate change and impacts, such as heat waves and other extreme events, and offers projections for the 21st century for droughts, heat waves, sea level rise, food, water, ecosystems and human health. The report says today’s climate could warm from the current global mean temperature of 0.8°C above pre-industrial levels, to as high as 4°C by 2100, even if countries fulfill current emissions reduction pledges. The World Bank doubled lending for climate change adaptation last year and plans to step up efforts to support countries’ initiatives to mitigate carbon emissions and promote inclusive green growth and climate-smart development. The Bank administers the $7.2 billion Climate Investment Funds now operating in 48 countries and leveraging an additional $43 billion in clean investment and climate resilience. Erick Fernandes, co-lead of the Bank’s Global Expert Team on Climate Change Adaptation, said, “It’s early yet but clearly some of the small island states and coastal communities are beginning to take a hard look at their options. The need to adapt to climate change will increase as global population reaches nine billion in 2050. “Turn Down the Heat” says sea levels have been rising faster in the last 20 years than ever before. Partly due to melting of the Greenland and Antarctic ice sheets, the report finds this rise is being seen in many tropical regions of the world. “Islands like Grenada have been calling on the international community to limit warming to well below 2.0 degrees Celsius, and believe that below 1.5 degrees is preferable. 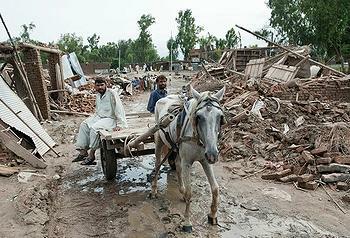 Averting climate disasters must be a top priority for the international community,” said Prime Minister Thomas. Hotter weather could in turn lower crop yields in a 4°C world—raising concerns about future food security. Field experiments have shown that crops are highly sensitive to temperatures above certain thresholds. One study cited in the report found that each “growing degree day” spent at a temperature of 30 degrees decreases yields by 1 percent under drought-free rain-fed conditions. The report also says drought-affected areas would increase from 15.4 percent of global cropland today, to around 44 percent by 2100. 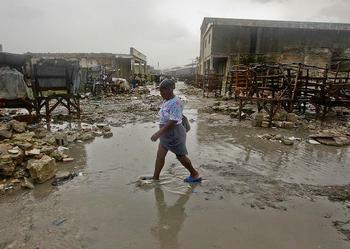 The most severely affected regions in the next 30 to 90 years will likely be in southern Africa, the United States, southern Europe and Southeast Asia, says the report. In Africa, the report predicts 35 percent of cropland will become unsuitable for cultivation in a 5°C world.